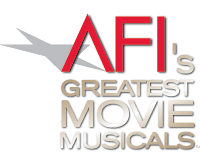 Part of the AF Is 100 Years Series, AFI's Greatest Movie Musicals is a list of the top musicals in American cinema. The list was unveiled by the American Film Institute at the Hollywood Bowl on September 3, 2006. Unlike most of the previous lists, it only includes 25 winners and was not presented in a televised program.